Hyatt Regency Moscow is set to open near the Dynamo Stadium, in the Arena Park redevelopment, in 2015. It will have 297 rooms, a ballroom, four bars and restaurants, and a fitness centre and spa. The Arena Park project will also have a new football stadium, ice hockey and basketball arena and retail and entertainment areas. 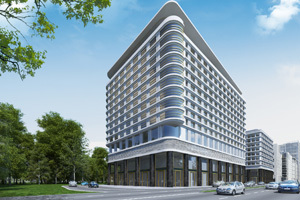 Hyatt Regency Moscow will join three other Hyatt and Hyatt Regency hotels in development across Russia, including Hyatt Regency Sochi, Hyatt Regency Vladivostok, Golden Horn and Hyatt Vladivostok, Burny.